For this episode, we also brought in other special guests to talk about this project and these recordings—long-time TCC ally worker, Nicola Wagenberg, who was deeply involved with these oral histories 15 years ago, and local cultural artist and collaborator, Eddie Madril (Yaqui). Together with podcast co-producer Sara Moncada, the four of us have a conversation about the food stories shared in the four pre-recorded interviews. We explore the state of Native foods, including their traditional uses, changes over time, and the challenges to protect and access them today. We hope you enjoy this multi-vocal conversation about the importance of Indigenous foods and foodways, from intertidal coastal gathering to moose hunting to wild rice gathering. This intertribal conversation demonstrates the diversity of Indigenous foodways and their critical cultural and nutritional significance to Native peoples, historically and for today. Featuring pre-recorded interviews used with full permission. Jacquelyn Ross is Southern Pomo and Coast Miwok. She comes from a long line of fisherpeople, hunters, plant helpers, and farmers. Tending Native plants, seed gathering, and communal food processing are annual activities. She is urgently concerned with ocean changes and the declining health and habitat of key food species. She works in university outreach and admissions and is also a writer, artist, and jewelry maker. Eddie Madril (Pascua Yaqui) teaches American Indian studies at San Francisco State University, College of Marin, and is the Artistic Director for Sewam American Indian Dance. He is currently the Co-Chair of the Board of Directors of World Arts West, producers of the acclaimed San Francisco Ethnic Dance Festival and previously served for 17 years on the Board of Directors for The Friendship House of American Indians, Inc. in San Francisco. He has worked nationally and internationally in Native American Arts and Education, has served on the advisory committee for Native programming at the de Young Museum of San Francisco, is a monthly host for KPFA Radio’s Bay Native Circle program and author of the new book The Dance of Caring. Nícola Wagenberg is a clinical and cultural psychologist, artist, film producer and educator. Nícola has worked for over 20 years with diverse individuals, communities and organizations on personal and cultural transformation. Since 2005, Nícola has been working with TCC directing media projects, developing and implementing arts and cultural health programs and helping with the operations and development of the organization. She is the co-producer of “Traditional Foodways of Native America,” “The Salt Song Trail Living Documentary,” co-directed TCC’s Friendship House Urban Garden Project and is the director of the Native Youth Guardians of the Waters project. And a special thanks to the original project that led to these historic recordings, the Renewing America’s Food Traditions (RAFT) project of Slow Food USA. Special thanks to Gary Paul Nabhan, Makale Faber, Laurita Baldez, and all the funders and sponsors of the gatherings we attended and recorded at as part of this work to highlight Traditional Foodways of Native America. Dive deep into agroecology and the Native plant wisdom of Traditional Ecological Knowledge (TEK) Keeper and medical herbalist Sage LaPena (Nomtipom Wintu) in this autumn new moon episode. This episode is unique in that it is based on the public lecture and hands-on teachings of Sage LaPena earlier this year during The Cultural Conservancy’s (TCC) Spring Planting Gathering at TCC’s Ethnobotany garden at the Indian Valley Organic Farm and Garden at the College of Marin in Novato, California. We learn about the sacred Oak and Peppernut trees of the North Coast landscape along with many of the cultural foods, medicines and craft plants native to the woodlands, grasslands, and riparian ecosystems of Coast Miwok territory. Sage eloquently shares ethnobotanical knowledge about trees, shrubs, grasses, and underground rooted plant parts such as mahogany, manzanita, elderberry, soap root, and Calechortus, among others. Sage reveals the life cycles and unique characteristics of these beautiful Native plant relatives, along with the high-TEK tools used to gather with, such as digging sticks and baskets. Additionally, we learn about traditional fire management and cultural burning and California Indian tribes historical and contemporary use of fire as a land-care practice. Ben Shleffer—who teaches about soaproot and manzanita in this episode—weaving tule with his son. Sage’s teachings demonstrate the power of applied Indigenous environmental education, the importance of Native peoples as agroecologists and biocultural restorationists, and the spiritual ecology of relationships between human, plant, and planetary health. 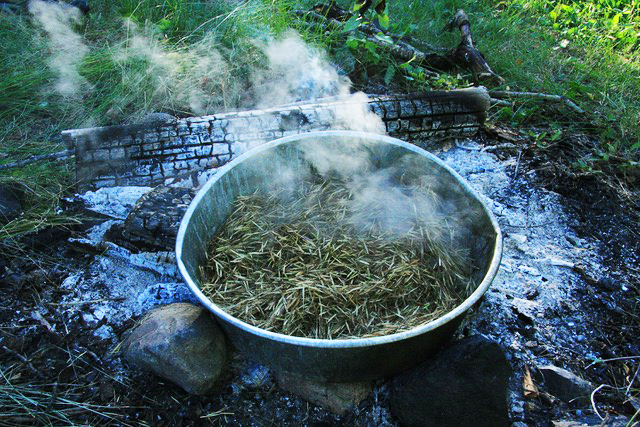 Video: Sage LaPena on Traditional Native American Herbalism in KCET’s Tending the Wild. For this episode we sit down with California Native chefs and educators Vincent Medina (Muwekma Ohlone) and Louis Trevino (Rumsen Ohlone), to talk about their journey revitalizing Ohlone languages and foods in the heart of the San Francisco Bay Area community and across the globe. Tucked into the quiet corner of a busy Berkeley bookstore we joined Vince and Louis at the site of their new “permanent pop-up” restaurant, Café Ohlone. 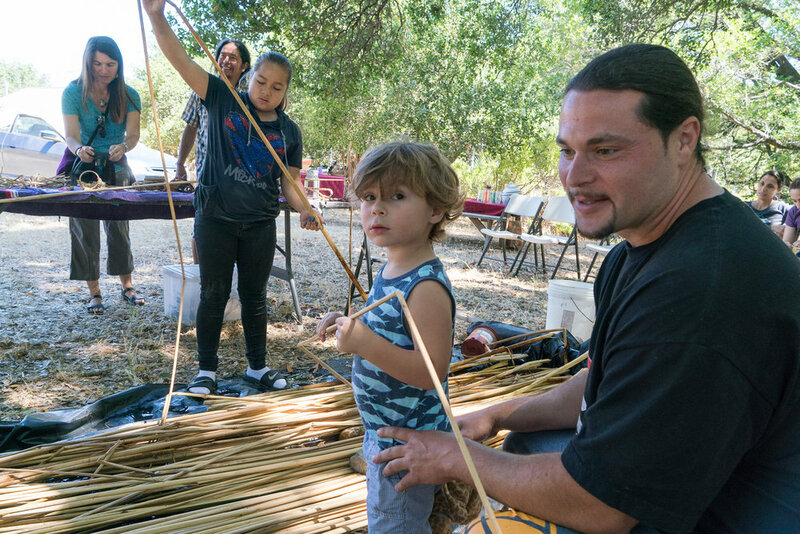 This unique Native California Indian food gathering place is the first of its kind as it focuses on the traditional Ohlone foods of the East Bay and creates a safe space for community to gather and share food and stories. From the delicious menu featuring seasonal foods like acorn bread and quail eggs to their recent work sharing these foods at the Terra Madre Salone del Gusto gathering in Turin, Italy, they talk about reconnecting with the values, respect and love their ancestors shared with the land, plants and foods of their traditional homelands. mak-’amham / Café Ohlone - contemporary Ohlone cuisine by Vincent Medina and Louis Trevino. Article, “Coming Home – Revitalizing Native California Culture in the East Bay,” Flora Magazine, California Native Plant Society, October 8, 2018. Article “Behind the Scenes With the Creators of the First Ohlone Food Café,” Bay Nature Magazine, Fall 2018. 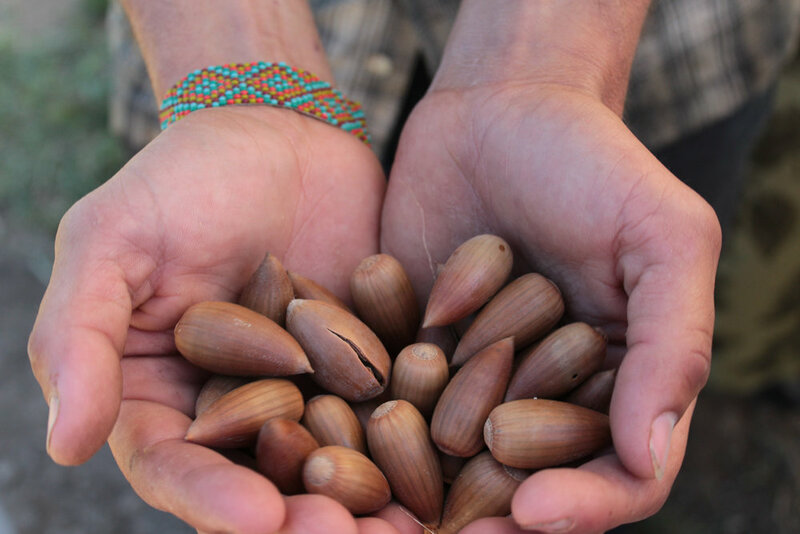 Article “Acorns in Italy: Strengthening Our Traditional Foods Thousands of Miles Away,” News from Native California, Fall 2016. This podcast episode features husband-wife team and Traditional Knowledge Holders Dave and Wendy Bray from the Seneca Nation in Western New York. Dave Bray is a traditional corn farmer and teacher and Wendy Bray a professional educator, cook, and keeper of Oneo-gen, Seneca white corn. Together, and with their daughter, Kaylena Bray (who worked with The Cultural Conservancy for 5 years as the Native Foodways coordinator), they brought the gift of Oneo-gen to us in 2013. In this conversation, Dave and Wendy return to the Indian Valley Organic Farm and Garden in Novato, California, where TCC has been growing their beautiful corn for six seasons. After many years, they return to TCC’s corn fields, observe the changes and health of the corn, and teach Green Corn harvesting and cooking methods. Standing in the Three Sisters Milpa Garden on a hot August day, they talk about the process of sharing their heirloom Native white corn with The Cultural Conservancy and the urban, intertribal community of Northern California, and share teachings about the many associated traditions of the Haudenosaunee Nation. The history and science of corn, green corn traditional dishes and cooking methods, the Longhouse seasonal ceremonial cycle, and the gift of the Life Sustainers are all discussed with wisdom, humility, and humor. In this intimate dialogue between Native Seed Pod host Melissa Nelson and special guest Potawatomi botanist Robin Wall Kimmerer, we explore with them the beauty and sophistication of seed germination and how plants use their inherent intelligence to locate their regeneration niches to thrive in place. Robin shares her vast botanical knowledge and insight to discuss the generosity of berries, ant farmers that embed trillium seeds, and amazing pin cherry seeds that have built-in spectrophotometers to read light. 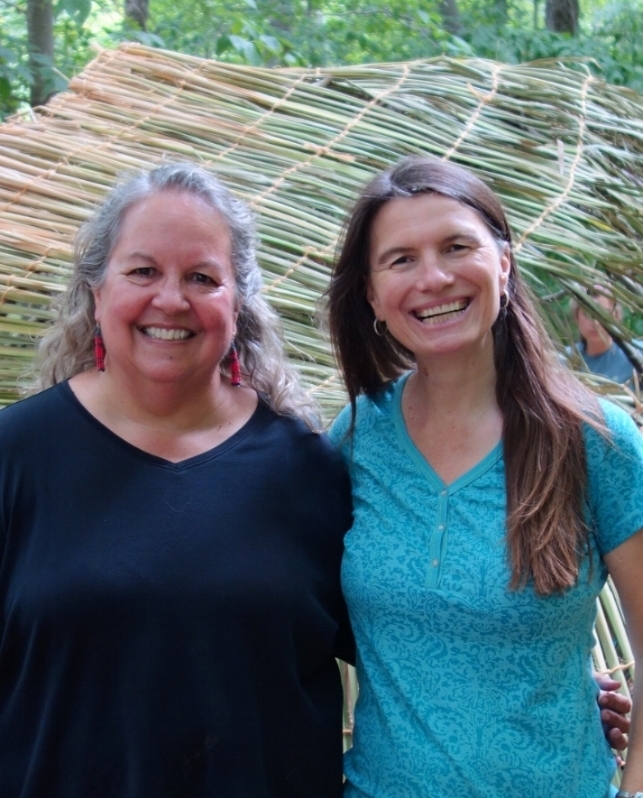 Using Indigenous and Western sciences and Anishinaabe language and philosophy, Robin and Melissa explore topics such as reciprocity, the sovereignty of being, the Rights of Nature, bio-cultural restoration, and collective remembering. They reveal a poetic and rooted understanding of belonging and kinship so needed in our fragmented society today, reflecting their own kinship as Anishinaabeg relatives. Robin Wall Kimmerer is a mother, scientist, writer and Distinguished Teaching Professor of Environmental Biology at the State University of New York College of Environmental Science and Forestry. She is also founding Director of the Center for Native Peoples and the Environment whose mission is to create programs which draw on the wisdom of both indigenous and scientific knowledge for our shared goals of sustainability. In collaboration with tribal partners, she and her students have an active research program in the ecology and restoration of plants of cultural significance. She is active in efforts to introduce the benefits of traditional ecological knowledge to the scientific community, in a way that respects and protects indigenous knowledge. Robin is an enrolled member of the Citizen Potawatomi Nation. Her writings include Gathering Moss which was awarded the prestigious John Burroughs Medal for Nature Writing in 2005. Her second book Braiding Sweetgrass: Indigenous Wisdom, Scientific Knowledge and the Teachings of Plants was honored with the Sigurd Olson Nature Writing Award. Robin earned her B.S. in Botany from the SUNY College of Environmental Science and Forestry and her M.S. and Ph.D in Botany from the University of Wisconsin, Madison. She is the author of numerous scientific papers on the ecology of mosses and restoration ecology. As a writer and a scientist, her interests in restoration include not only restoration of ecological communities, but restoration of our relationships to land. She lives on an old farm in upstate New York, tending gardens both cultivated and wild. Native Seed Pod host Melissa Nelson and producer Sara Moncada catch up with seed sisters Kaylena Bray, Mariaelena Huambachano, and Elizabeth Hoover at the 2018 Native American and Indigenous Studies Association (NAISA) Annual Conference in Los Angeles. In the quiet corner of an urban hotel, after their panel presentation Seed Sovereignty Stories from North American, Latin America and Oceania we sat together and discussed how seeds cross cultures and continents, creating networks of physical and spiritual resilience and are at the forefront of environmental justice, food security and biodiversity. Kaylena Bray (Haudenosaunee/Seneca) has worked for many years as a consultant to several Indigenous-led, social entrepreneurship organizations in the U.S. and Latin America, including the Indigenous Peoples Biocultural Climate Change Assessment, Conversations with the Earth, and The California Indian Environmental Alliance and served as The Cultural Conservancy’s Native Foodways Coordinator from 2012-2016. Her recent work with The Voices of Maiz: Exploring Seeds, Knowledge, and Relationship network was recently featured at the UN International Forum in New York and her work in strengthening the role of traditional ecological knowledge on climate change mitigation and agricultural food systems continues to build internationally. She received her MSc in Environmental Change Management at the University of Oxford, England. Mariaelena Huambachano (Quechua) is an interdisciplinary Indigenous scholar originally from Peru and a citizen of New Zealand. She is currently a Presidential Postdoctoral fellow in American Studies and Ethnic Studies at Brown University, where she works on the intersections of Indigenous studies, public policy, environmental and sustainable development. Her manuscript entitled “Global Indigeneity, Activism and Resistance in Food Politics” provides a critical analysis of the politics of food as social identity and highlights indigenous food sovereignty (IFS) as a nascent political strategy to assert indigenous peoples’ self-determination status as land-based peoples, and to ultimately decolonize their food systems. She is also working on an international community-engaged project entitled the ‘Right to Food Security/Sovereignty’ at Brown University which is an international research collaboration with the Māori, Quechua, Cofan (Amazonian of Ecuador) and Anishinaabek of North America. Elizabeth Hoover (Mohawk) is Assistant Professor of American Studies at Brown University, where she teaches courses on environmental health and justice in Native communities, indigenous food movements, and community engaged research. She serves as a co-leader for the Community Engagement Core of Brown’s Superfund Research Program, working with community organizations on environmental health, justice and education issues. She recently published a book titled The River Is in Us: Fighting Toxics in a Mohawk Community, which takes readers into one indigenous community’s fight against the contamination of its lands and reclamation of its health and culture. In 2014, Hoover embarked on a 20,000 mile drive around the country, documenting 40 indigenous food projects to promote access to sufficient, healthy, sustainable food by reclaiming traditional diets. Hoover is a gardener, beadworker, fancyshawl dancer, a member of the Native American Food Sovereignty Alliance (NAFSA), and the Slow Food Turtle Island Association. Find out more on her blog, Garden Warriors Good Seeds. Click here for her full CV. The Buffalo Treaty is an historic international treaty signed by dozens of sovereign First Nations dedicated to cooperation, renewal, and restoration. It was signed in 2014 and continues to lead to many landmark events and collaborations. Special guest, Tuscorora educator Rose Imai of The Native American Academy also joins this conversation as she connected Melissa and Leroy over a decade ago and has been an advocate of the Buffalo Treaty since its inception. Tune in and listen to Elder Leroy tell the unfolding story and significance of the Buffalo Treaty. Leroy Little Bear was born and raised on the Blood Indian Reserve (Kainai First Nation), approximately 70 km west of Lethbridge, Alberta. One of the first Native students to complete a program of study at the University of Lethbridge, Little Bear graduated with a Bachelor of Arts Degree in 1971. He continued his education at the University of Utah, completing a Juris Doctor Degree in 1975. Following his graduation, Little Bear returned to his alma mater as a founding member of Canada's first Native American Studies Department. He remained at the University of Lethbridge as a researcher, faculty member and department chair until his official retirement in 1997. In the spring of 2003, Little Bear was awarded the prestigious National Aboriginal Achievement Award for Education, the highest honor bestowed by Canada's First Nations community. In 2016 Little Bear was awarded the Alberta Order of Excellence. Beyond Canada’s borders, Leroy played a central role in the first international Indigenous treaty in more than 150 years. The Buffalo: A Treaty Cooperation, Renewal and Restoration of 2014 formalized a commitment to restore the buffalo and to maintain associated indigenous cultural traditions. One of Leroy’s most significant and enduring legacies is his work with the United Nations, where he helped to establish a working group on Indigenous populations. It was this working group that originated the concept and initial draft of the United Nations Declaration on the Rights of Indigenous Peoples. This declaration has since been ratified by 144 member states of the UN, and is being implemented by the Government of Alberta. Rose Imai works extensively with the Indigenous ceremonial dialogue process and has devoted her adult life to exploring the transformative dimensions of communication. Rose was the Director of Education at U.C. Berkeley's Center for Particle Astrophysics from 1989 to 2000, where she led collaborative efforts to cultivate a scientific culture that supports an understanding of diversity that includes divergent worldviews. Central elements of this work, were the abilities and skills necessary for productive collaborations, distributive leadership, and communicating with diverse audiences. 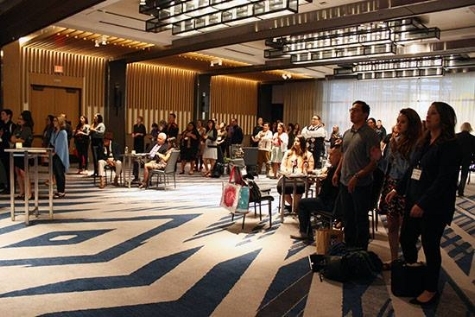 Following traditional Indigenous values and processes, she designed programs to explore the role values, meaning and relationship play in leadership. These programs expanded graduate training to explore fulfilling careers for scientists to include successful transitions into business, government and academic careers. She is the co-founder and director of The Native American Academy, a circle of Native scholars and Traditional Knowledge Holders utilizing research, dialogue, writing and action projects that increase the visibility of the native paradigm, indigenous learning processes and native science. She is a respected writer and speaker, whose work has been published and presented in national and international forums including, among others; the National Academy of Sciences, Nga Pae o Te Maramatanga (Centre of Research Excellence) University of Auckland, Southeastern Consortium for Minority Education, University of Arizona, the Education & Human Values Conference, University of California Berkeley, and the Council of Graduate Schools in Washington D.C. As a visual artist she works primarily in oils, pastel chalks, video and film to create expressions of our shared consciousness and kinship with the natural world and to further her understanding of somatic learning. Original Art by Rose Imai - "Waiting" and "Following"
Host Melissa Nelson visits with Mohawk Seed Keeper Rowen White at her family’s Sierra Seeds farm in the foothills of the Sierra Nevada Mountains on the Yuba watershed in Northern California. Rowen shares her journey to grow and restore ancestral seeds and build a special seed kiva. In this session Rowen takes us through her unique holistic, indigenous permaculture approach to seed stewardship which honors the many layers of seed culture that are rooted in an indigenous ecology of interconnected relations. 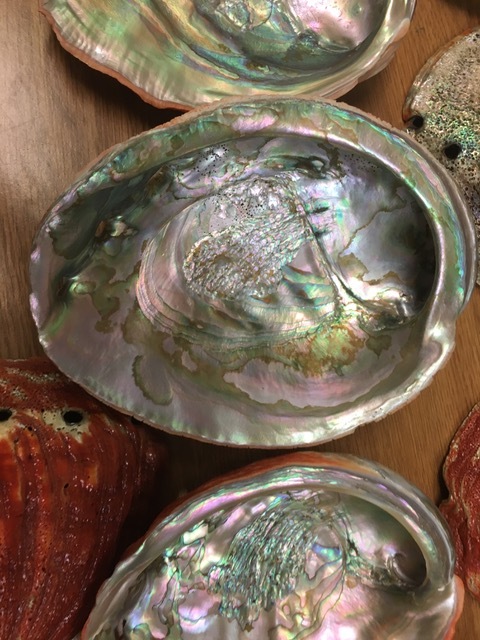 Learn about the beautiful seed legacy of the indigenous peoples of Turtle Island and the work being done today for seed sovereignty and sacred earth stewardship. Rowen White is a Seed Keeper from the Mohawk community of Akwesasne and a passionate activist for seed sovereignty. She is the director and founder of Sierra Seeds, an innovative organic seed cooperative focusing on local seed production and education, based in Nevada City, California. She teaches creative seed training immersions around the country within tribal and small farming communities. As part of this effort she is the national project coordinator of the Indigenous SeedKeepers Network which works to nourish and assist the growing Seed Sovereignty Movement across Turtle Island (North America). She is also the co-author of Breeding Organic Vegetables: A Step by Step Guide for Growers.